Minimalistic text editor with Markdown syntax highlighting for Mac, iPad and iPhone. 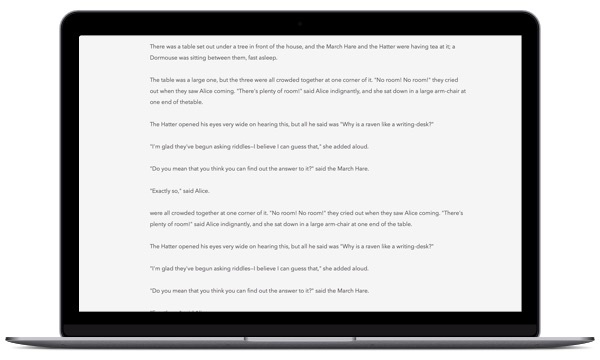 iWriter Pro is designed to be easy yet powerful text editing app. It provides distraction-free writing experience with a bunch of handy features. Markdown is a good way to format your text, apply styles, insert lists and block quotes. 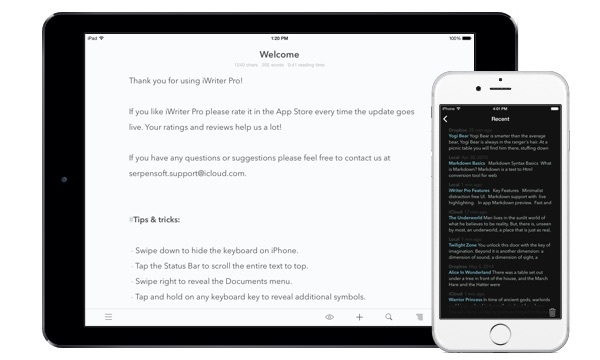 iWriter Pro automatically highlights text as you type. Use iCloud to store your documents. You can easily create, view and edit your files on Mac, iPad and iPhone devices. Need help? Please visit our support section.